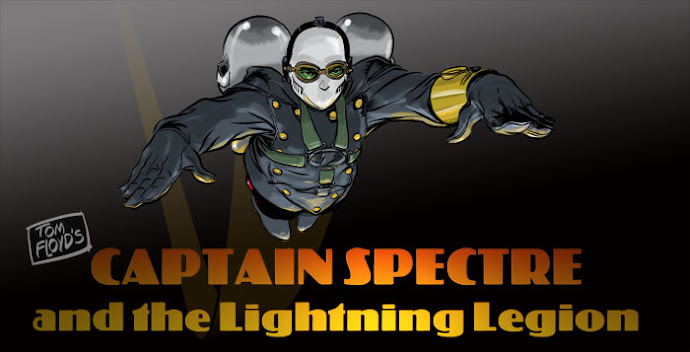 Tom Floyd's Captain Spectre and the Lightning Legion: Carson of Venus merchandise!!! The shirts run just a bit small, so take that with a grain of salt when ordering your size. I have one, yes of course a Carson one, and they are great quality shirts. The colors came out really good on the shirts. That's pretty cool. thanks!!! yea i was surprised when i saw these....it was a total surprise and didn't even know they were going to produce them. They don't have my size, so no tee shirts. Bummer. It sure looks real cool. Loyal Legionnaire Lloyd....what size do you need, i will try to use what little pull i have to get you one....ok. thanks. Tom, about 5XL. It is hard sometime to find offered Tees in my size. Thanks.